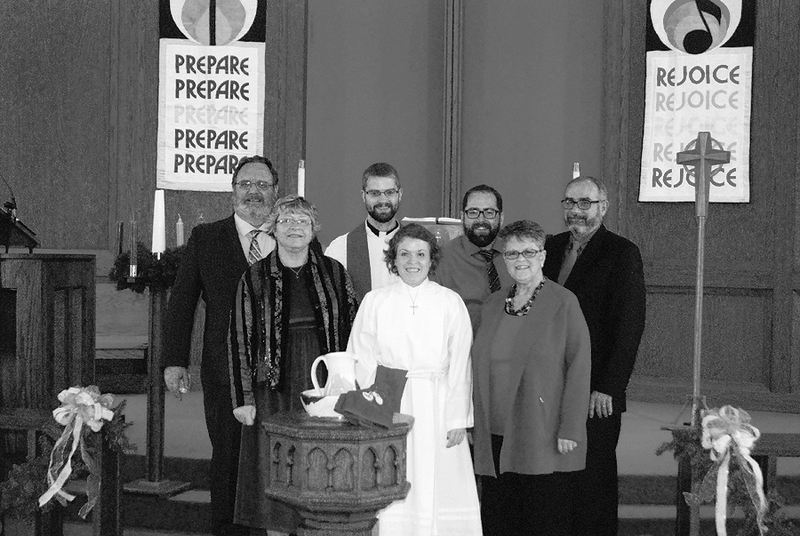 Julia (Perkins) Nelson, a 2003 graduate of Manchester High School, returned to her hometown recently to share her consecration as a Diaconal Minister with her family, friends, and the community. The North Manchester native grew up as a member of Zion Evangelical Lutheran Church, which is where the service was held on Saturday, Dec. 13. 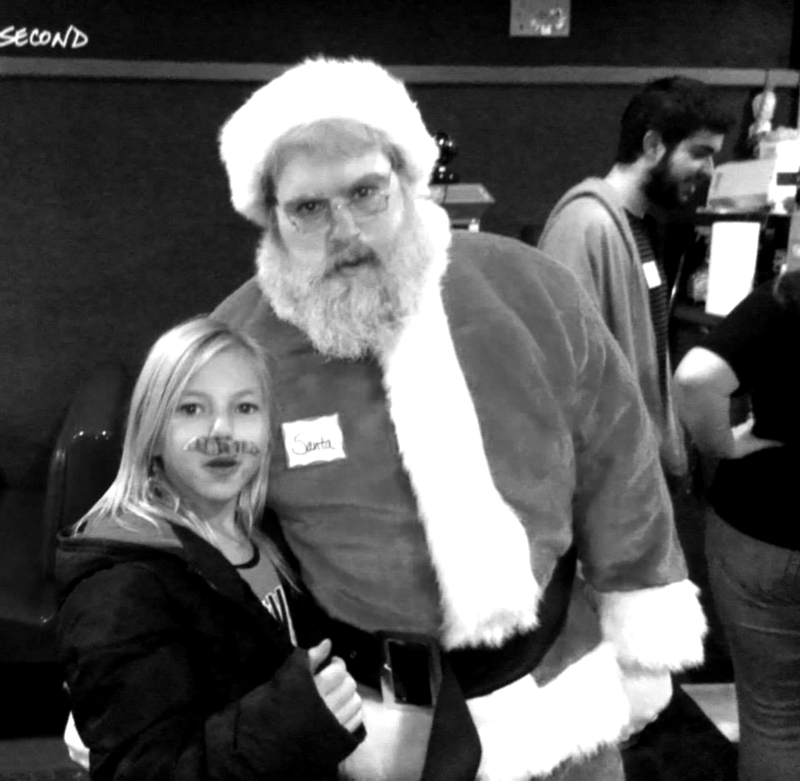 The Access Youth Center held it's annual Community Christmas Party on Dec. 13, which included a visit from Santa, lots of food, and gifts for each family. Be Well Wabash County is a new collaborative initiative focused on moving Wabash County towards better wellbeing by promoting life balance. On Jan. 8, initiative leaders will make a public declaration and sign a new charter at the Wabash County YMCA. Be Well Wabash County founders, supporters, and members of the community will join together to show their support for the new initiative. Be Well Wabash County was created to pull people together to identify needs within the community pertaining to wellbeing. Wabash County is following in the footsteps of other Indiana counties, such as Clinton County, which began a similar initiative a few years ago. On Dec. 5 during Wabash’s First Friday festivities, Arc of Wabash held an open house to celebrate its 60th anniversary. The community was invited to see the organization’s work firsthand and learn about the organization’s history. A tour of the facility encompassed several historical vignettes, where volunteers acted out scenes as they might have occurred in 1954. The first gave viewers a glimpse inside a reenacted Wabash City School Board meeting where the education of children with disabilities was first discussed. The tour continued into a meeting of the parents of disabled children, which occurred just after the board’s decision not to begin what would now be referred to as Special Education. These parents worked together, and with the help of the community, founded the School of Hope, out of which Arc of Wabash grew. Attendees then got a chance to meet some of the organization’s clients and see them on the job in the facility’s workshop. The tour concluded with a benefit dinner. During the open house, Artistica Gallery Manager Joyce DeVore presented Hoffman with a check for the proceeds of the organization’s recent art gallery show, featuring paintings created by Arc clients. In its second year, the show raised $4,010.25. The City of Wabash has been informed that a company has been notifying residents of a service they offer, painting addresses on the curbs in front of residences. The company has not requested any authorization from the City of Wabash to perform these services, and the City of Wabash would like to inform residents that this type of operation can be questionable in nature. The LIFE Center will be having their annual Rally for Life on Sunday, Jan. 18 at the Wabash Middle School auditorium, with special guest speaker Peter Heck. The program begins at 2 p.m. with the walk and refreshments to follow. Jan. 22, 2015 marks 42 years of legalized abortion. The LIFE Center will be collecting baby bottles at the Rally. If you have been filling a baby bottle, please return it at the Rally. There will be a free will donation taken at the rally, along with donations of items the Center needs, which include wipes, prenatal vitamins, and 3T-4T clothing including pajamas. The Center will always accept donations of baby clothing up to size 4T, diapers, formula, baby food, shoes and other items for babies. The LIFE Center is in the process of raising funds for a new facility. Last month, the Center received a very nice donation anonymously that has helped their fundraising significantly. Their currently total is $40,000 and they are still in need of $60,000 to reach the goal of the building fund. The Life Center provides pregnancy tests, ultrasounds, and items needed for babies free to their clients. The Center is not affiliated with any government funding or one specific church denomination. If your church or organization would like to host a baby shower/fundraiser for the LIFE Center, please contact the LIFE Center at 260-563-7275. You can also check out their website at wabashpregnancy.com or find them on Facebook. With the holidays in full gear, signs of festive celebration are everywhere, and this year, a group of students from Southwood Elementary School got a chance to participate in a holiday television special. “Sounds of the Season” is being broadcast on four Fort Wayne channels leading up to Christmas. Students from eight schools in the broadcasting area were selected to participate in the eighth annual special, which will be featured on 21Alive, NBC33, Fort Wayne CW, and MyTV Fort Wayne. In the Sweetwater Sound studio, the group of first graders sang, “All I Want for Christmas is My Two Front Teeth” and “Santa Medley” in their matching red “I Love Santa” t-shirts. Students from the other seven schools, ranging in age from Kindergarten to twelfth grade, also appear in the musical holiday special. The program showcases each group’s vocals, as they are accompanied only by a piano. “We taped in the morning at Sweetwater studio, and then stopped at the Huntington YMCA to eat our sack lunches,” said Dubuque. The Wabash County Veteran’s Service Office will be adjusting the hours of operation at the courthouse beginning Jan. 2, 2015. The hours will be: Monday, Tuesday and Thursday 9 a.m. to 4 p.m. The office will not be open on Wednesdays and Fridays. An appointment may be made for other times if the veteran is unable to come in during the regularly scheduled hours. Bob Brown, Veteran’s Service Officer noted this will extend the present hours by one hour each day and aligns the office with courthouse hours of operation. The new schedule will allow them to do outreach services to retirement and assisted living facilities for veterans that are unable to come to the office. There are numerous Veterans Administration (www.VA.gov) and Indiana Dept. of Veterans Affairs (www.in.gov/dva) programs available. The programs can be viewed via the internet at the above websites. The Wabash County Veteran’s Service Office is here to assist veterans obtain benefits they have qualified for through their military service. The Veteran’s Service Office telephone number is: 260-563-0661 Ext 1260.